Deciding between a luxury, ski-in/ski-out residence smack dab in the middle of the base-area action of a ski resort and a property that offers spaciousness and wide-open vistas can be a difficult choice. Luckily, ownership at Alpine Mountain Ranch & Club in Steamboat Springs offers the perfect solution. Alpine Mountain Ranch & Club, a shared-ownership ranch community featuring completed market homes and luxury homesites for sale, offers buyers room to spread their wings on their private ranch, as well as the exclusive opportunity to enjoy the plush membership of a slope-side lodge and social club. In 2018, the developer of the 1,200- acre Alpine Mountain Ranch & Club purchased the prestigious Alpine Mountain Summit Club, located within Steamboat Springs’ luxury on-mountain resort, One Steamboat Place. The developer’s intent was to be able to offer the limited remaining number of memberships exclusively to owners of Alpine Mountain Ranch&Club. Now, the community merges the exclusivity of a private ranch home with the lavish five-star amenities of a private, slope-side club. Amenities include heated parking, ski lockers, ski valet, fitness center, pools, hot tubs, daily breakfast and après ski — all within steps of the gondola. Alpine Mountain Ranch & Club homes feature privacy yet are located merely 5 miles from the action of the ski resort. In under six minutes, residents may transition from a morning horseback ride from the community barn to skiing the famous champagne powder slopes of Steamboat Ski Resort. 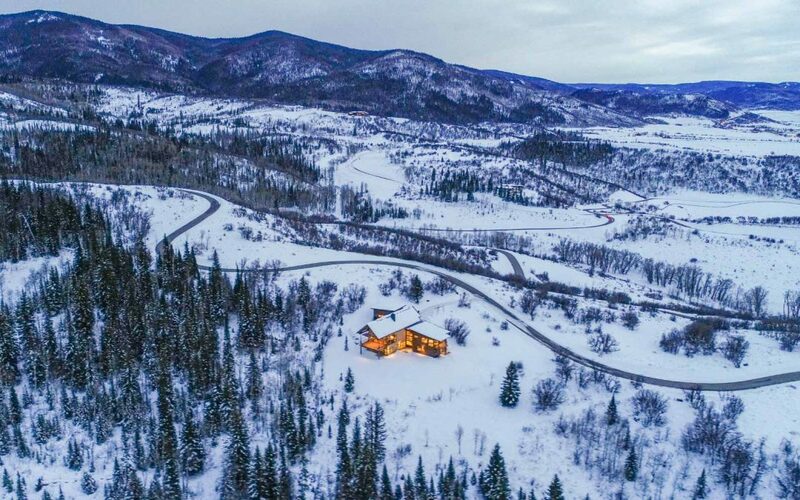 “The development’s ability to offer its ranch owners exclusive membership is an opportunity that is truly unique,” said Todd Allsberry, in-house broker for One Steamboat Place. “I often see clients who want on-mountain access, combined with land and views made possible by ranch living. Rarely does an offering present itself that includes both.” And just like the value offered by a ranch lifestyle combined with the amenities of an on-mountain social club, the world-renowned popularity of Steamboat Ski Resort remains unprecedented — especially with the added benefit of becoming part of the Ikon Pass in 2018. Alpine Mountain Ranch & Club’s 5- acre homesites start from $1.5 million. Custom market homes are priced from $4.495 million. For more information on Alpine Mountain Ranch&Club, call 970-846- 0817.